Talisay was formerly an estate of the Augustinians in 1648. 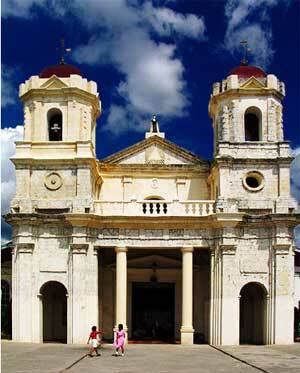 The town had no church of its own and they had to go to San Nicolas for baptisms, weddings and burial rites. It became separated from San Nicolas by virtue of Royal Decree of August 16, 1856.
a kind of tree which used to be in abundance in the area. Another is that it was named after a town in Spain. PAF Commanding Officer Loven Abadia. 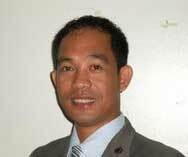 The first general of this era is from Talisay , Ge. Isagani V. Ocampo. March 26, 1945 is a day to remember not only by the residents of Talisay, but also by the entire Cebuanos. It was on this day when American Division, US Army landed in Talisay to begin the liberation of Cebu from the invaders - exactly 2 years, eleven months and sixteen days after the Japanse landed on precisely the same spot on April 10, 1942. Minglanilla is a 1st class municipality in the province of Cebu, Philippines. According to the 2000 census, it has a population of 77,268 people in 14,739 households. Minglanilla is part of a metropolitan area known as Metro Cebu. Minglanilla is located approximately 15 km south of Cebu City. It is bounded on the southwest by Naga; on the northwest by Toledo City; on the northeast by Talisay City; and on the southeast by the Bohol Strait. It has a land area of approximately 15.6 km². It was also known as the "Sugat Capital" of the south. The municipality falls under the third type of climate or rainfall condition. It is characterized by a short dry season lasting from one to six months. There's no pronounced maximum rain period. This town is placed under the tropical rainforest type of world climate which has a uniform high temperature and heavy precipitation distribution throughout the year as noted by PAG-ASA representative Mr. Uzziel. Minglanilla is politically subdivided into 19 barangays.